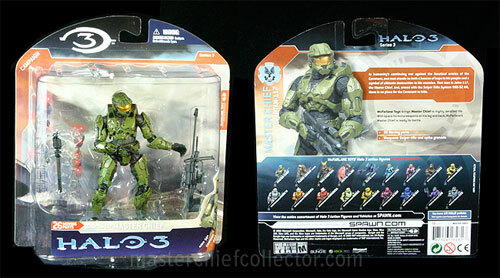 McFarlane Toys produce the Halo 3 action figures. The campaign series 3 Master Chief figure carries the sniper rifle and a spike grenade. It is 5 inches tall, and has 26 moving parts. The helmet, chest and shoulder armor are removable.